DxO OpticsPro offers a quality alternative to Lightroom’s Development module via a plugin that lets you transfer RAW files. 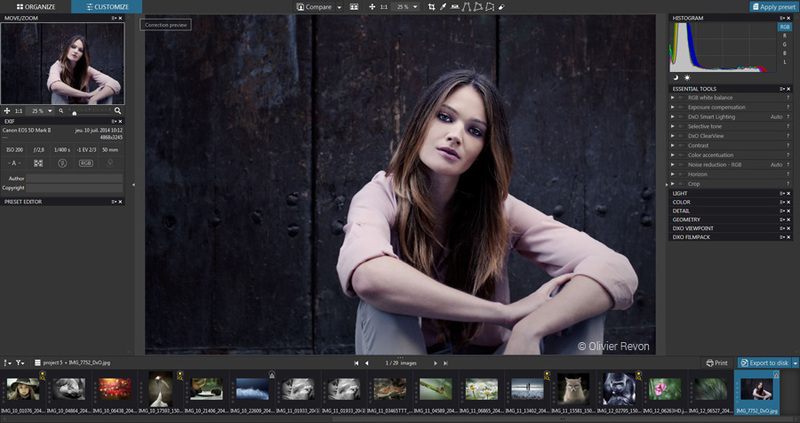 This lets a user of the Adobe software to take advantage of the power and quality of DxO’s image processing within a fully-integrated and complementary workflow that is smooth and easy to use. In this tutorial, we will first discuss the approach and philosophy of the two software applications, the way they communicate, and what happens when you open a Lightroom image in DxO OpticsPro. 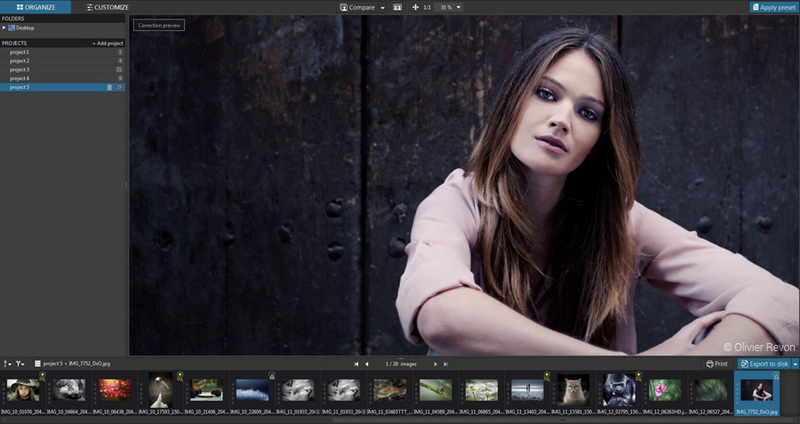 We will then see how to utilize the Customize tab, and what fundamental advantages using it would offer to a Lightroom user in terms of tools and in photo processing quality. From DxO OpticsPro version 9.5 and higher, DxO has offered a plugin that allows you to open a RAW file from Lightroom directly in the Customize tab. 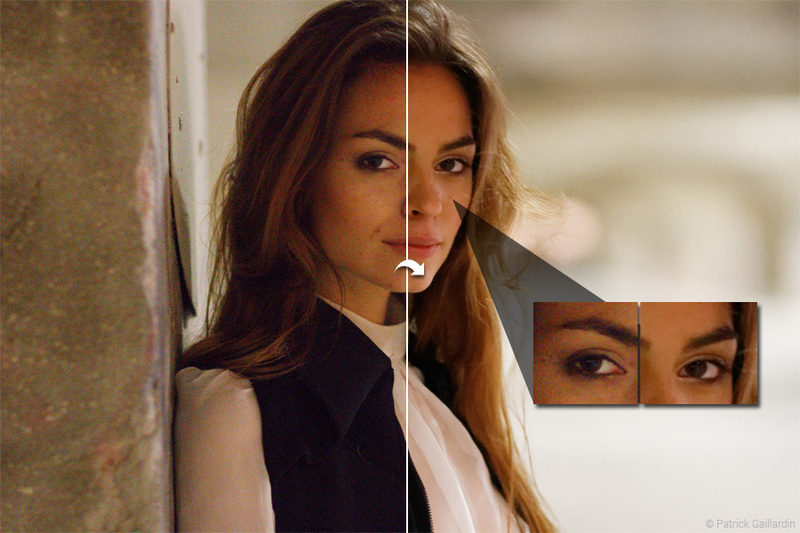 DxO OpticsPro’s Customize tab includes all of the image correction tools and thus can be compared to Lightroom’s Development module. 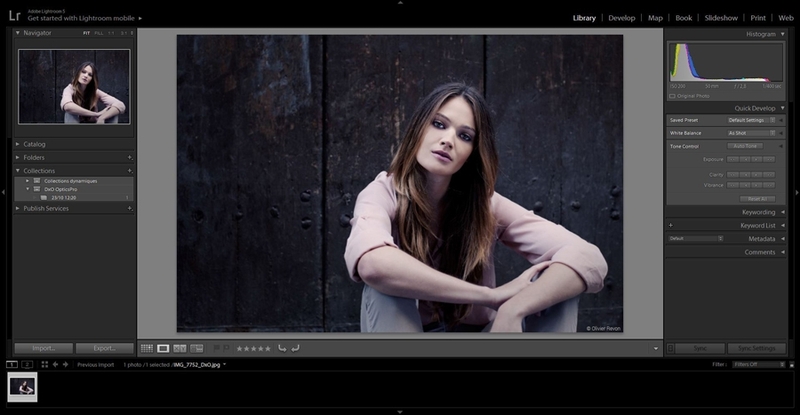 Before beginning, you may want to take a look at our tutorial about the workflow between Lightroom and DxO Optics Pro. After transferring a RAW file from Lightroom, it will open in the DxO OpticsPro Customize tab, and the export menu on the bottom right of the File Browser automatically changes to Export to Lightroom mode. If you go into the Organize tab by clicking on the top left in the command bar, you will see that your image or images from Lightroom are stored in a numbered Project that is automatically created. 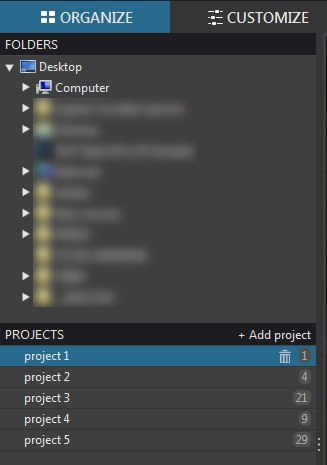 These projects are grouped with the folders in the Source Browser, which displays the hard drive(s) and directories on your computer. One of the fundamental differences between Lightroom and DxO OpticsPro is that the latter does not require importing and cataloging images: you have direct access to the contents of your folders, and Projects in DxO OpticsPro are virtual albums that allow you to organize your work. When you click on a folder or project, the contents appear as thumbnails in the File Browserbelow the main pane. Also note that all of the metadata is preserved when passing through DxO OpticsPro: you can even see the star ratings that you assign in Lightroom (from DxO OpticsPro version 10 and higher). Of course, you can handle all of these corrections using the tools available in the Customize tab. When you have finished with your corrections, you can export them to Lightroom in whatever format you choose (among JPEG, TIFF or linear DNG); the images returned to the catalog are automatically stacked with the originals. 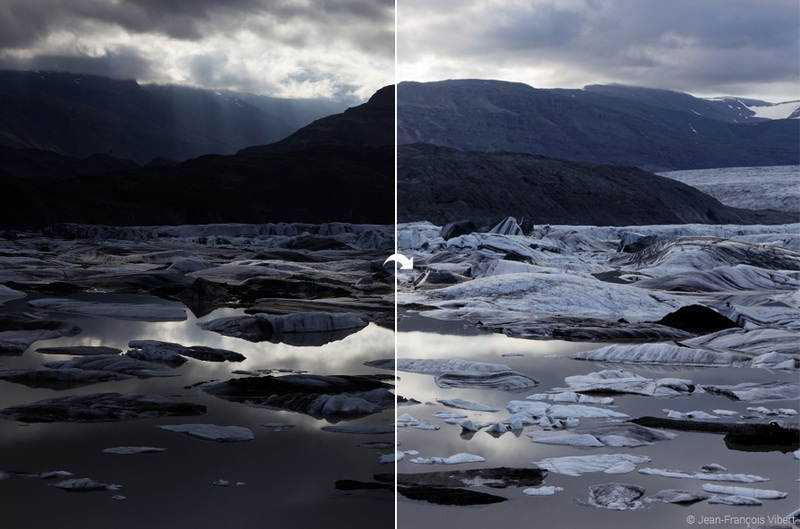 DxO OpticsPro’s Customize tab and Lightroom’s Development module have many diverse correction tools in common. In the table further below, we will show how they match up. 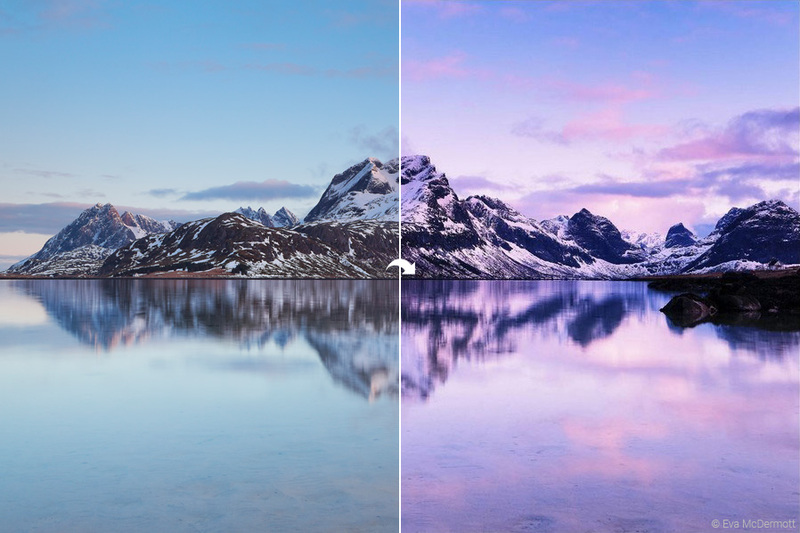 Even if a wide variety of tools is a common point in both programs, the underlying philosophy is not the same: DxO OpticsPro is based primarily on automated corrections, whereas Lightroom requires many corrections by hand. These manual corrections in Development can be used as predefined parameters in the same way as DxO OpticsPro’s custom presets. We saw in the preceding paragraph that DxO OpticsPro corrects images as soon as they are opened. 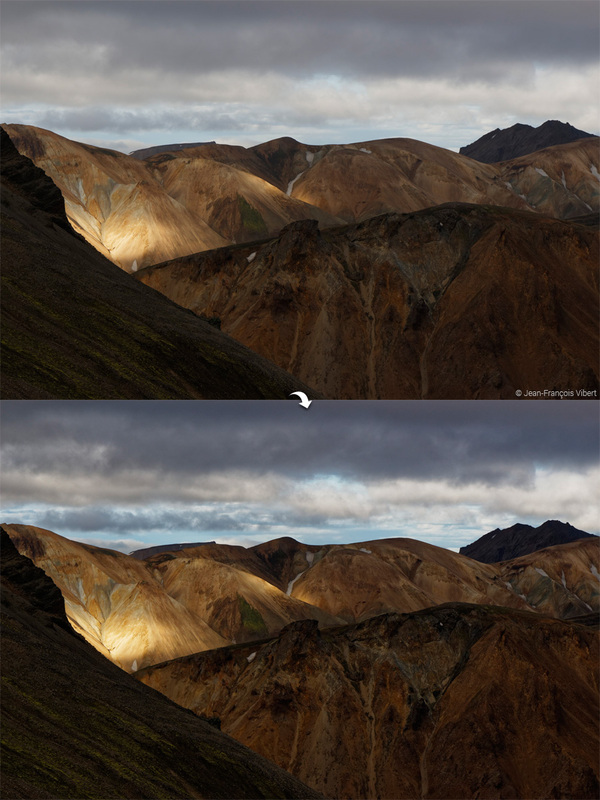 Lightroom also applies a certain number of corrections, but only for a few things: basic rendering, chromatic noise reduction, and slight color accentuation. Everything else has to be done manually (with the possibility of creating predefined parameters or changing the default behavior of the Development module, depending on the serial number of your camera). DxO OpticsPro facilitates the work of photographers and drastically reduces the amount of time needed to process images, thanks to the automatism contained in its DxO Standard default preset, and its DxO Optics Modules that handle the particularities of shooting equipment. Of course, the Customize tab provides perfect freedom to photographers who want to do corrections by hand, or who want to create their own custom presets to use instead of the DxO Standard default preset. 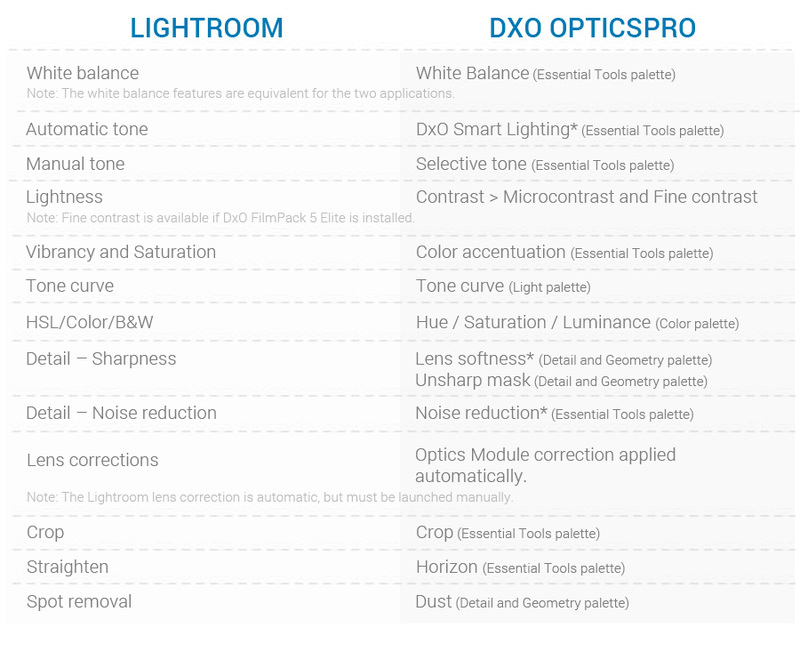 DxO SmartLighting’s exposure and contrast control, which acts on highlights, midtones, and shadows to extract the maximum possible dynamic range, while offering balanced and attractive results (see tutorial). Protection of saturated colors, which prevents clipping bright colors in the image, and which permits you to recover, for example, photos from a concert lit by sets of colored lights. Noise reduction, already very efficient in High Quality mode, and which lets you go even further with DxO PRIME technology (DxO OpticsPro Elite edition), which corrects noise while preserving the details and colors, and which allows you to shoot at the very high sensitivities (ISO 6400 and higher) now commonly used in photography (see tutorial). The elimination or reduction of haze using DxO ClearView (DxO OpticsPro Elite edition), which will help bring out, for example, all of the details in your landscape photos (see tutorial). DxO Lens softness, which automatically optimizes the sharpness of your images by making them more uniform from the center to the edges. 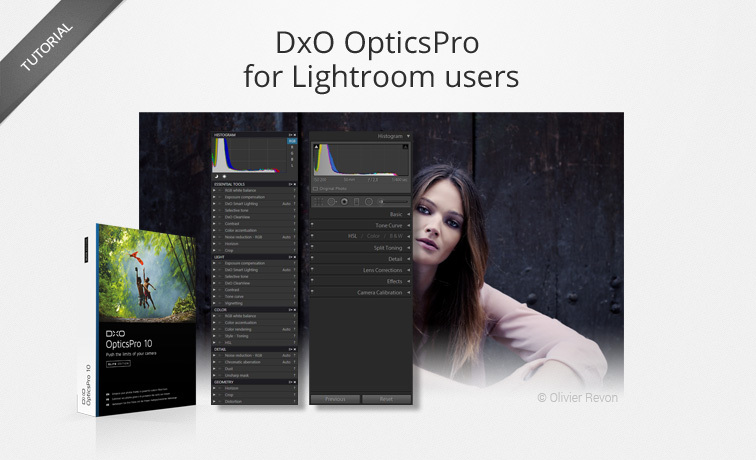 As a Lightroom user, you will find other exclusive tools in DxO’s other software which can be integrated into DxO OpticsPro RAW workflow. The Volume deformation correction, which allows you to restore the natural proportions of the spherical and cylindrical elements in your image, such as people distorted when photographed with a wide-angle lens. Straightening Vertical and Horizontal perspectives, Force rectangle (correction along four sides) and 8-point correction (correction along four independent sides). Finally, DxO FilmPack gives you access to a large number of creative effects and also lets you simulate the renderings of an enormous number of analog films (based on meticulous laboratory analysis). 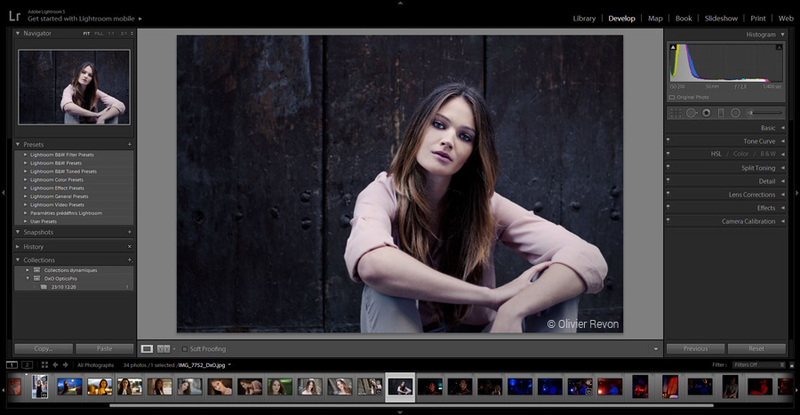 Should you develop your photos with Lightroom or with DxO OpticsPro ? In your Lightroom/DxO OpticsPro workflow, you may want to completely forego working in the Development module, and work instead in the Customize tab. In this case, it is obviously not feasible to do some basic corrections in the one application and then in the other, for example, to correct white balance in DxO OpticsPro, and then modify the white balance after returning to Lightroom. However, Lightroom offers you a certain number of specific tools, such as the Spot Removal Brush, the Graduated Filter, and the Radial Filter, which you can use on your files after returning them to Lightroom. Don’t forget that DxO Optics Pro’s and Lightroom’s image processing engines are not compatible: corrections made on a RAW file in one application will not be visible in the other. The corrections made in DxO OpticsPro will remain visible in the application, even during a second pass-through, but to see these corrections in Lightroom, you will have to export the image in bitmap format: JPEG, TIFF, linear DNG – with the latter two recommended if you want to perform additional retouching in Lightroom or even Photoshop.